Look at all those air conditioners in Beijing, China. 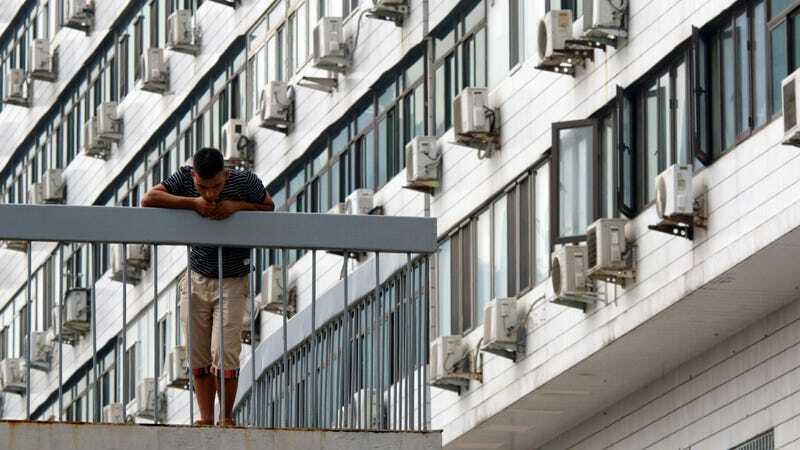 China’s sales of air conditioners have been on the rise. By 2030 to 2050, heat exposure may cause an additional 38,000 deaths among elderly people a year worldwide, according to the World Health Organization. By 2100, up to 74 percent of the world’s population could be exposed to deadly temperatures for at least 20 days a year, per a 2017 study published in Nature. We need air conditioning, but its high energy use and our current reliance on fossil fuels to run AC units could cause air pollution to spike. A recent study estimated all that extra air pollution could lead to another thousand deaths a year in the U.S. by midcentury. That’s the goal here. Because as global warming takes things up a notch, skipping out an A.C. is looking less and less like an option. Giz Explains: Why Do Air Conditioners Weigh So Much?